Mix first 3 ingredients and 1 tablespoon cilantro in large bowl. Add shrimp; toss to coat. Let stand 10 minutes. Prepare grill – spray with high-temperature Pam (medium-high heat) or preheat broiler. 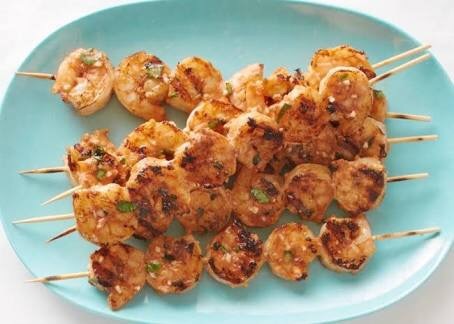 Remove shrimp from marinade; skewer shrimp. Skewer onions on remaining skewer. Season shrimp and onions with some of the marinade. Grill onions until tender and cooked through, about 3 minutes per side. Add shrimp to grill; cook until pink, about 2 minutes per side. Coarsely chop onions. Remove shrimp from skewers; divide between plates. Bring marinade to boil. Mix in onions, cheese and remaining 1 1/2 tablespoons cilantro. Spoon onion mixture over shrimp. 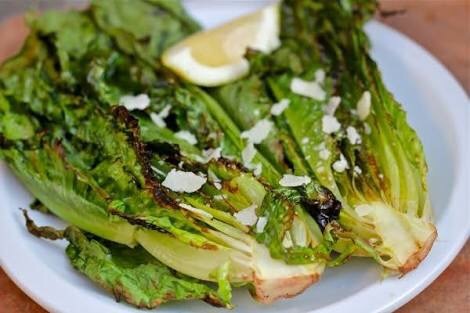 Serve with simple couscous, spinach or grilled romaine wedges, sprinkled with lemon, olive oil and left over feta… add a touch of kosher salt and fresh ground black pepper. Previous Post Happy Finger-Lickin’ Father’s Day!